IRK Films and Arif Lakhani Films after giving us blockbuster project, Siyaah, Jaanan, & Parchi, today announced that next venture “Heer Maan Ja” - with Ali Rehman Khan & Hareem Farooq lead roles, which will be releasing on Eid ul Azha 2019. The production house broke the news of this film with a teaser leaves you questioning, what is actually going on? It all started off with a funny video, where the audience sees an argument between Imran Raza Kazmi and Hareem Farooq - the co-producers of the film and the head honchos of IRK Films, bantering about the casting the lead actor of the film, and other things! 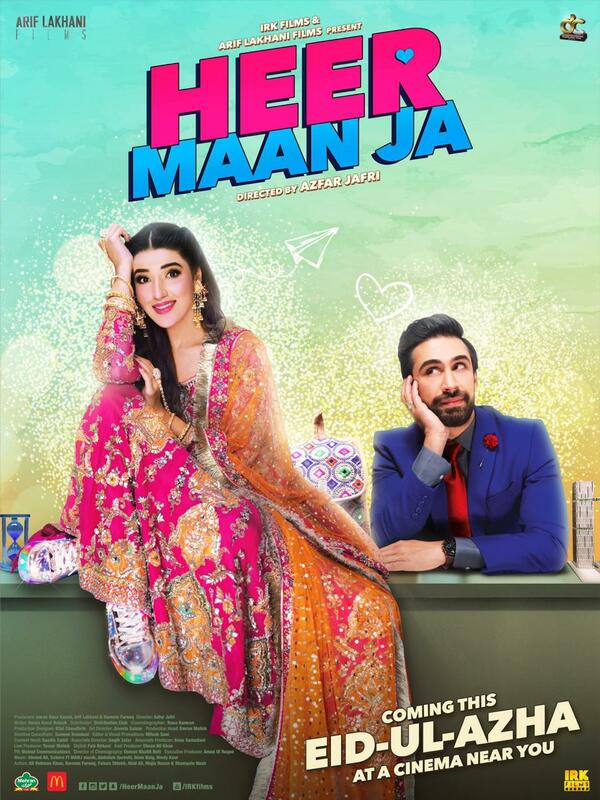 “Heer Maan Ja” first look shows Hareem Farooq all dressed up in a wedding dress with joggers, looking mischievous with a worried Ali Rehman Khan. Directed by Azfar Jafri - Siyaah, Janaan, Parchi - the film is a jumpstart to your Eid with comedy and whole lot of ‘Laugh out Louds’. “IRK Films” and Arif Lakhani Films joint venture has been formed to provide premium content to all its viewers nationally and internationally. Heer Maan Ja will be distributed by Distribution Club.